I love citrusy IPAs; they go perfect during the fleeting days of summer as the weather cools and the days become shorter. I also love experimenting with beer based cocktails and expanding the way I enjoy my favorite brews. Enter Samuel Adams Rebel Grapefruit IPA; it is a great beer on it’s own but when used as the base of a high end cocktail it transforms into an amazing experience that cannot be replicated with anything else. 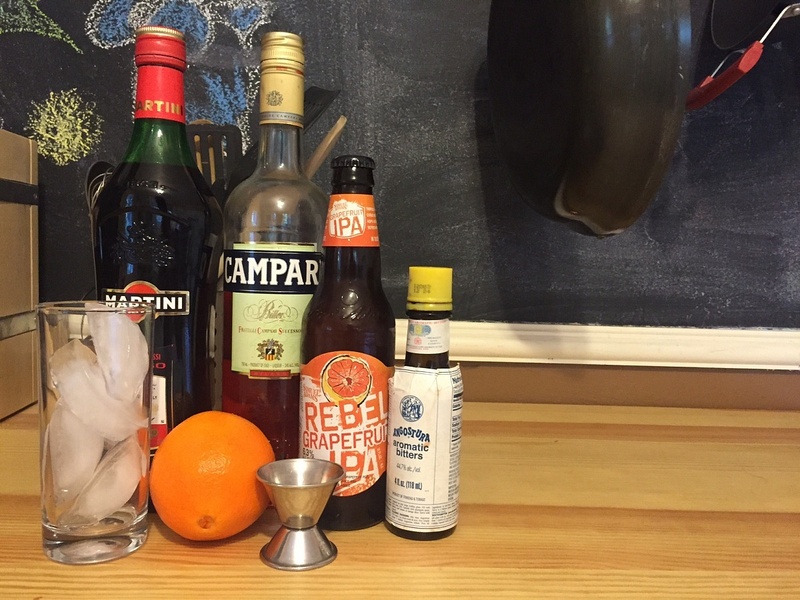 First I made The Resistance, a cocktail that takes cues from the prohibition greats of the ‘20s. 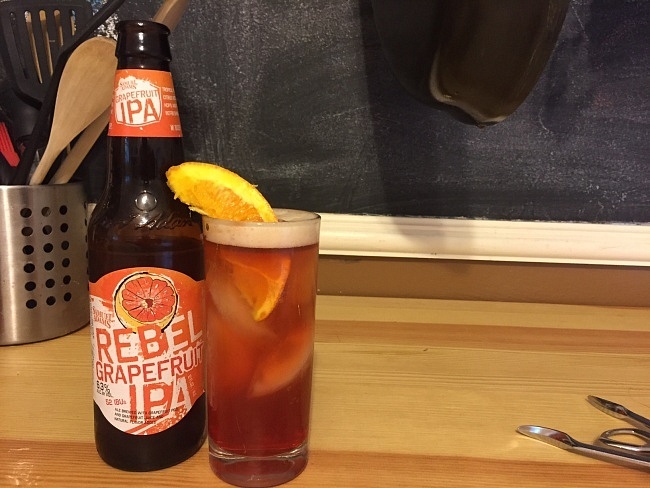 For The Resistance fill a highball glass with ice and add 1 oz Campari, 1 oz Sweet Vermouth, and one dash bitters, finish with about 4 oz oz Samuel Adams Rebel Grapefruit IPA while agitating slightly and garnish with a orange slice. The resulting cocktail is zesty, refreshing, and extremely citrusy. The base of the Grapefruit IPA creates a refreshing citrus take on a hop-forward brew while the Campari lends a floral and root complexity to the palate that is calmed by the Sweet Vermouth. The garnish of the orange and addition of the bitters lend an extra citrusy edge that really opens up the complexities of the cocktail and make it quite refreshing and easy drinking. After making and enjoying The Resistance I decided to go different direction and opted for a Gin based drink. 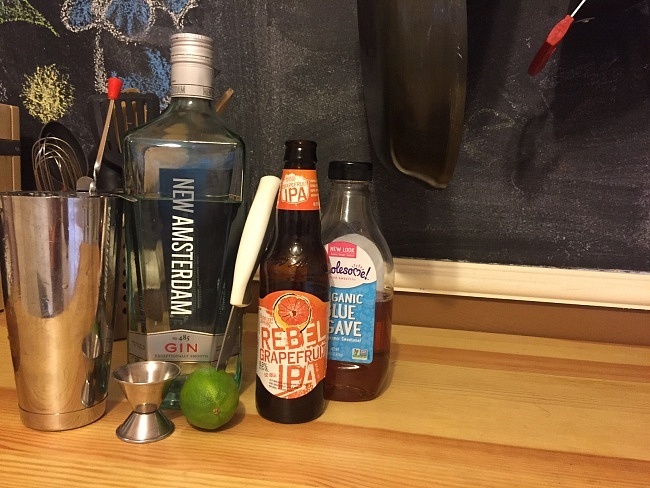 To make the Liberty Highball I filled a shaker with ice and added 1 oz gin, a tsp of organic agave syrup and a splash of fresh lime juice, stirred vigorously and poured it into a ice filled highball glass that I topped with Samuel Adams Rebel Grapefruit IPA and garnished with a lime slice. 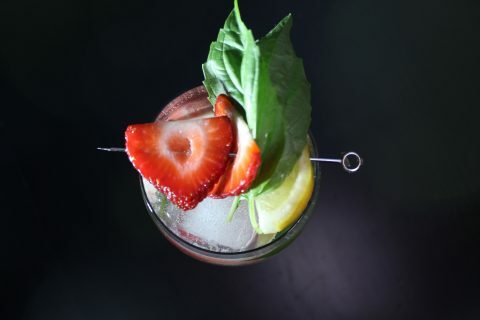 The Liberty Highball is a slightly sweet cocktail that is perfectly balanced with citrus overtones, a malt base and a hop-forward palate that is wonderful for every sip. This drink is best enjoyed as a refreshing and calming nightcap on a warm summer night. 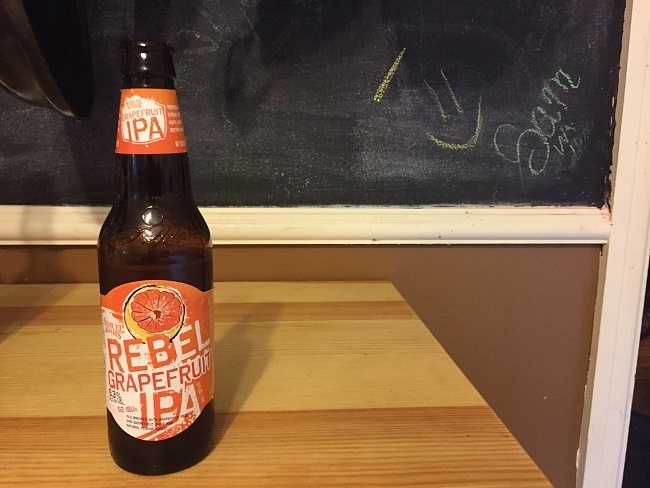 Samuel Adams Rebel Grapefruit IPA is a great entry into the fruit infused IPA world and using it as the base for creative cocktails brings all its unique and engaging facets to the forefront. 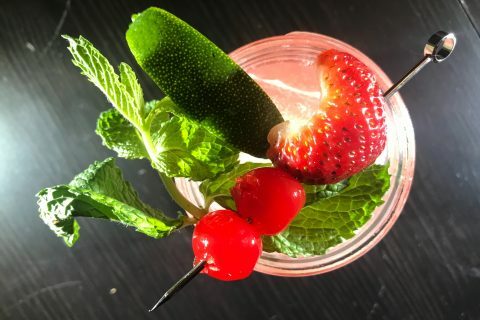 Take a risk during these waning days of summer and create something special; the Resistance and Liberty Highball cocktails are great examples of the beer cocktail world and the perfect opportunity to try something new.